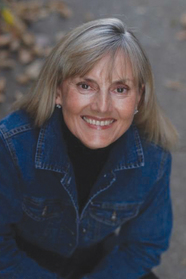 Jacqueline Winspear is the New York Times bestselling author of the Maisie Dobbs novels. The first in the series, Maisie Dobbs, won the prestigious Agatha Award for Best First novel, the Macavity Award for Best First Novel, and the Alex Award. She won an Agatha for Best Novel for Birds of a Feather and a Sue Feder/Macavity Award for Best Historical Mystery for Pardonable Lies. Winspear was born and raised in the county of Kent in England. Her grandfather had been severely wounded and shell-shocked in World War I, and learning his story sparked her deep interest in the "war to end all wars” and its aftereffects, which would later form the background of her novels. Winspear studied at the University of London's Institute of Education, then worked in academic publishing, in higher education and in marketing communications in the UK. She immigrated to the United States in 1990 and embarked on her life-long dream to be a writer. In addition to her novels, Winspear has written articles for women’s magazines and journals on international education, and she has recorded her essays for public radio. She divides her time between Ojai and the San Francisco Bay Area and is a regular visitor to the United Kingdom and Europe. I was born and raised in the county of Kent, in England. Too many to mention, but here's a few, and in no particular order: Jane Austen, Ernest Hemingway, F. Scott Fitzgerald, John Dos Passos, Arnold Bennett, George Orwell, Susan Howatch, Susan Isaacs, Angela Carter, PD James ... and many more. I have two horses and train in the equestrian sport of dressage almost every day. I love to hike, to go out on my mountain bike, I enjoy movies and the theater - and of course, I'm a bookaholic. Go placidly amid the noise and the haste, and remember what peace there may be in silence. As far as possible, without surrender, be on good terms with all persons. Speak your truth quietly and clearly; and listen to others, even to the dull and the ignorant; they too have their story. And whether or not it is clear to you, no doubt the universe is unfolding as it should. Therefore be at peace with God, whatever you conceive Him to be. And whatever your labors and aspirations, in the noisy confusion of life, keep peace in your soul. With all its sham, drudgery, and broken dreams, it is still a beautiful world. Be cheerful. Strive to be happy. Q: When's your next book coming out? A: I'm writing as fast as I can. The story and characters that came into my head as I was daydreaming while stuck in traffic. Wherever I am. If I am at home, then I write in my office at home,; if I am in an hotel, then I write in my room. In this fast-paced thriller, set in London in 1931, Maisie Dobbs must catch a madman before he commits murder on an unimaginable scale. Extraordinary Psychologist and Investigator, Maisie Dobbs, investigates a strange series of crimes in a small rural community.